Proposed subjects for Eastern Africa Students: Burundi, the Comoros, Djibouti, Egypt, Eritrea, Ethiopia, Kenya, Madagascar, Malawi, Mauritius, Mozambique, Uganda, Rwanda, the Seychelles, Somalia, Sudan, South Sudan, and Tanzania. To analyse the role of the affiliated institutions: the Bank of the ZEP, AIRC, the COMESA Reinsurance Company, ACA. 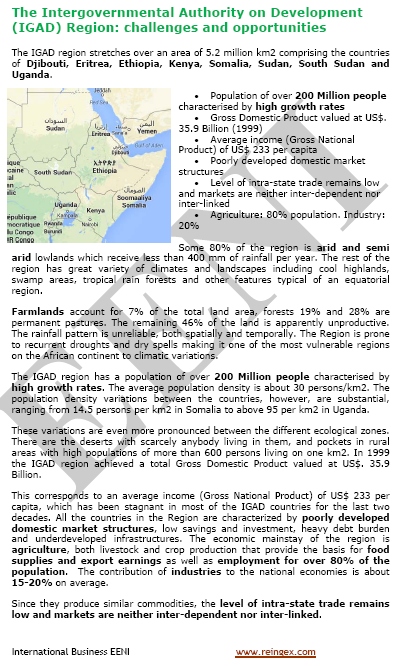 Syllabus of the Program: Intergovernmental Authority on Development (IGAD). 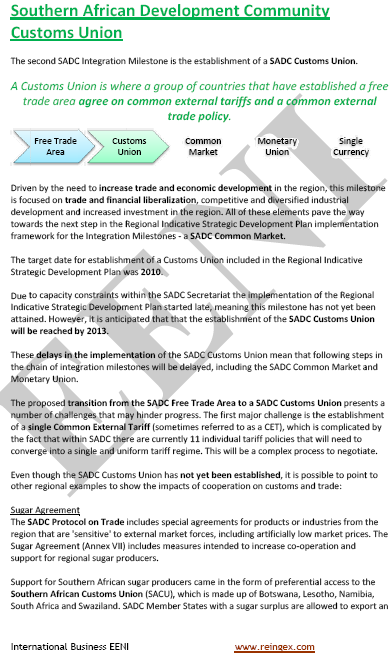 To analyse trade facilitation programs, transportation, and non-tariff barriers elimination. Syllabus of the Program: Indian-Ocean Rim Association (IORA). 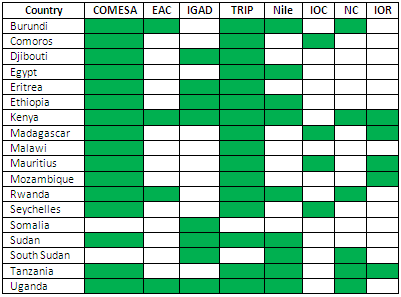 Projects of the Indian-Ocean Rim Association (IORA). 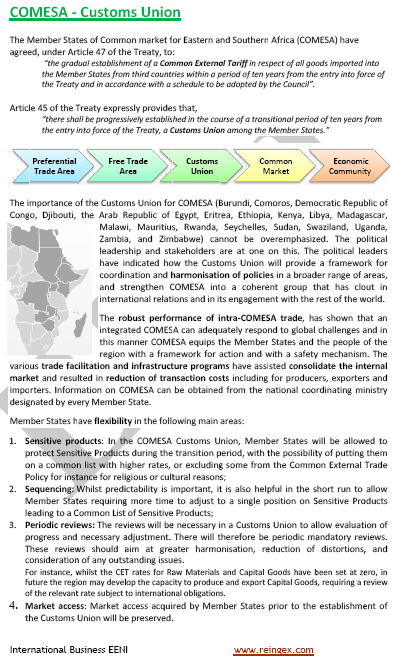 Introduction to the Africa-European Union Strategic Partnership (EU). The Cotonou Agreement. Syllabus of the Program: Generalised System of Preferences (GSP) of the European Union. 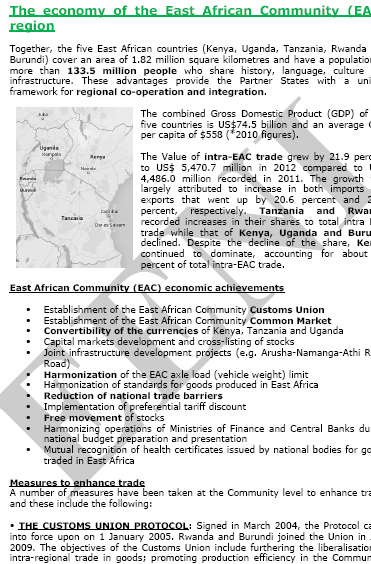 Syllabus of the Program: African Growth and Opportunity Act (AGOA). North American Investment in Africa. 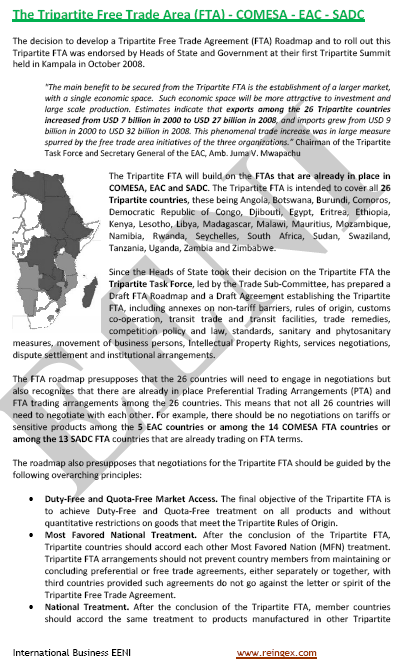 To know trade agreements between African Countries and the U.S.
To analyse international trade between African Countries and the U.S.